Azerbaijan has suddenly been subjected to a massive infowar attack in response to its increasingly independent foreign policy reducing the US’ level of control over this strategic energy supplier, and the end result of this coordinated operation is to replace the Turkic county with “Israel” as the EU’s anchor in a reconstructed Southern Energy Corridor. International media has been abuzz over the past two weeks concerning the allegations levelled against Azerbaijan in two high-profile “leaks”. The first one originated earlier this summer and claims to prove through purportedly hacked emails from one of the country’s embassies that Azerbaijan has clandestinely played a key role in the global arms trade, especially the one with non-state actors such as Daesh. The second one is less sensational but similarly explosive because it tries to tie Azerbaijani President Ilham Aliyev to a major influence operation all across the EU, one which his enemies have framed as a bribery ring. The timing of these two major offensives against Azerbaijan’s reputation and soft power isn’t coincidental, as it all perfectly correlates to larger ongoing processes in Eurasia as the world transitions towards an emerging Multipolar World Order. Azerbaijan has begun to practice a more independent foreign policy as its international balancing act acquired crucial strength through the country’s ongoing rapprochement with Russia, which has manifested itself in the ambitious cross-continental North-South Transport Corridor with Iran and India, as well as through the skillful employment of “military diplomacy”. 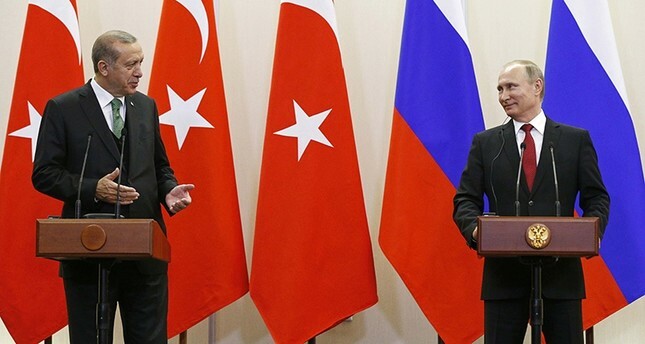 Concurrent with Turkey’s newfound Great Power partnership with Russia – in spite of the 2015 anti-terrorist fighter jet provocation carried out by the Fethullah Gulen Terrorist Organization (FETO) and the subsequent pro-American coup attempt against President Erdogan less than a year later – Azerbaijan has followed in the footsteps of its fraternal state and altogether allowed Russia to maximize its influence to historically unseen proportions along its southern Mideast-Caucasus periphery. This naturally drew the attention of the US, which for the past few years has waged a mild infowar campaign against Azerbaijan in accusing its government of being a “dictatorship”. It’s not a coincidence that this is the same modus operandi earlier applied against Presidents Putin and Erdogan, and President Aliyev is just the most recent Eurasian leader to fall victim to this tried-and-tested tactic. Part of the reason why he’s being targeted at this time has to do with his country being “collateral damage” in the EU’s post-coup tensions with Turkey, which has seen the US go all out in its claims that the country has totally turned away from democracy. Seeing as how Azerbaijan is Turkey’s closest international partner and vice-versa, it was inevitable that it would get dragged into this dispute sooner than later. It also doesn’t help any that Azerbaijan was upgrading its ties with Russia at the time either, as this made Baku an irresistible target for the US. In fact, this point is even more relevant than ever before considering the prevalence of conspiracy theories in the US about Russia’s global power and intentions following the 2016 election. The idea of “dictator Putin” controlling “puppet dictator Aliyev” in order to “neutralize” the original intentions of the Southern Energy Corridor in providing an alternative to Russian-sourced energy reserves is the type of wide-ranging and crazy conspiracy that American decision makers might not only believe, but even try to convince their European partners of too. In fact, it doesn’t matter if the US believes this or not, to be honest, since all that’s important is that it arguably looks like America is indeed trying to get the EU to agree with this narrative. In pursuit of this end, the US has weaponized so-called “leaks” in order to strategically craft the perception that Azerbaijan is a “rogue state” which “regularly violates Western/European norms” through the supposed illegal shipment of arms across the world and to terrorist groups, allegedly conducts extensive bribery operations against elected officials, and is apparently fortifying an hereditary dictatorship at home. The point here isn’t so much to get the general public to believe all of this, but decision makers and key politicians, as the US wants them to disengage from Azerbaijan just as the entire bloc is doing with Baku’s ally Turkey. If important individuals in charge of their country’s or the EU’s foreign and energy policies don’t submit to American-Armenian pressure, then the next step would be to incite the masses against them in large-scale rallies using the information in the “leaks” as the pretext for protesting against them. At this point it’s worthwhile to consider what the whole point of this is in the first place, since smearing what had previously been an EU-friendly country in as vicious of a way as the West is attacking Russia nowadays seems illogical if it’s supposedly only for the sake of it. Actually, there’s a very real reason why all of this is happening, and it’s because the US wants the EU to no longer prioritize Baku as the terminal point in the Southern Energy Corridor but to instead replace it with “Israel” through the recently announced pipeline that will be built from its Eastern Mediterranean Leviathan gas field to the EU via Cyprus and Greece. Although no physical progress has been made on its construction yet, the US is attempting to imply by contrast that the optics of the EU doing business with “Israel” are a lot more “pleasant” than with Azerbaijan. For instance, Azerbaijan is Russia’s Turkic Muslim partner with a unique country-specific system of national democracy, while “Israel” is the US’ (ethnically) European Jewish ally with a system of “Western democracy”. In and of itself, this shouldn’t have any difference on Baku’s ability to satisfy the EU’s energy demands, but the US is politicizing Azerbaijan’s foreign and domestic choices, and even its own ethno-religious identity, in a desperate bid to diminish the country’s attractiveness. The overarching strategy is to utilize weaponized “leaks” in order to put pressure on EU decision makers to seriously consider “Israel” as a Southern Energy Corridor replacement for Azerbaijan, relying on trumped-up arguments completely unrelated to the country’s envisioned apolitical business role such as Baku’s Russo-Turkish partnerships, alleged international “misconduct” (illegal arms sales and bribery rings), and supposed violation of “Western democratic norms” by “establishing a dictatorship” at home. There’s even more of a self-interested motive for why the US is doing all of this aside from crafting the conditions for its “Israeli” ally to acquire unparalleled energy – and resultantly, political – influence over the EU, and it’s that America also intends to turn the bloc into one of its main LNG markets in the future. Right now, the price of Russian and Azeri energy supplies is much more competitive than anything that the US can offer, but if Washington can succeed in engineering an atmosphere of distrust between the EU and Azerbaijan similar to what it’s already succeeded in doing between the EU and Russia, or even the EU and Turkey for that matter, then it can force Brussels to reorient itself away from Eastern-originating energy supplies and towards Western ones (bearing in mind that “Israel” is socio-politically conceived of as “Western”) like the much more expensive LNG that the US plans to export to its newly captive European market. Without squeezing Azerbaijan out of the EU’s Southern Energy Corridor and replacing it with “Israel” through a reengineered route across the Eastern Mediterranean, the US and its newly elected businessman leader Donald Trump have no chance at making billions of dollars of profit from selling costly LNG to Europe, but in order to reach the point where this is even possible, it’s relying on weaponized “leaks” that are deliberately designed to pressure EU decision makers into backing away from their erstwhile partnership with Baku. The particular details of the accusations pale in comparison to the reason and timing behind their announcement, though they’re intentionally supposed to be so sensational that the general public overlooks their suspiciously coordinated release and focuses solely on what the US expects to be their predicted emotional reaction, which is to condemn Azerbaijan and subsequently fall into the trap of political chain reactions that Washington has set for them. ” Azerbaijan has clandestinely played a key role in the global arms trade” – Possible, I have no evidence to support or refute this claim. But look who is pointing- the US! A rogue state that has demonstrably started a new war/conflict annually for at least 30 years. And has its greedy fingers in virtually every arms deal – clandestine or overt – happening. Including Daesh. It is stupid to throw stones while sitting in a glass house. And – US – renember tgst when you point a finger at somebody, three are ppinting at you. It is far more likely that the US is stepping up its efforts against Azerbaycan because it is preoaring the ground for a second Afghanistan*. The keywords being “direct access to Caspian Oil”, “direct access to Turkmen and southern Kazakh gas” and “Transportation of oil and gas from the region either to the black Sea – via Armenia and Georgia – or more likely to the Mediterranean – via Armenia and Turkey either to the Levant or the Bosporus. The Levant option is quite possibly a reason for the Syrian war. An “independent, US controlled” Kurdistan would bias this equation even more towards tge Levant. And – as a Bonus – would provide full control if the near eastern water resources! Interesting which turn Stalins idea of a “Republic of Kurdistan” is taking. And as a citizen of Eurasia (Switzerland) let me say that I certainly do not need an american buffoon preaching to our fellow Eurasian country Azerbaycan what “European values” are. * The reference to Afghanistan: A key reason for western meddling in Afghanistan is, thst it is the key to opening oil transportation routes from Turkmenistan and southern Kazakhstan to the Arabian Sea. Control over Afghanistan would provide access to Russia through the back door. From a strategic point of view very similar to the Caucasus. And as the back door via the Crimea is now closed due to its repatriation to Russia, all the more important! Andrew Korybko bases an entire article on two events he calls rumors and leaks, yet never disproves them. Korybko incorrectly assumes his readership has also dismissed these two events. One event is so egregious – Azerbaijani bribery and money laundering on the order of 3 billion dollars – and widespread it has been called the Global Azerbaijani Laundromat. EU officials are under investigation. As if the first case is not significant, the second event noted by Korybko involves Baku sending arms to Daesh fighters in Syria via its Bulgarian connections. Korybko refers to claims that Baku is arming Islamic fighters a conspiracy against Azerbaijan, without ever demonstrating how. He then expects his readers to believe a mystery conclusion, Israel is to replace Baku as an energy hub, based on these two events being false. It appears that Korybko is caught in the Azerbaijani Laundromat’s “Spin Cycle”.